A 3-36-1 record in two years and a recent loss against the Pittsburgh Steelers, the Browns have decided to part ways with Hue Jaackson. An announcement that had an air of inevitability about it has seemingly become official now. Ian Rapoport of the NFL Network Insider reported this afternoon that the Cleveland Browns had fired Hue Jackson. The former Browns head coach had been at Cleveland for two years in which the Browns had a poor record and Sunday's loss against the Pittsburgh Steelers looks to have been the final nail in the coffin. The season started off on a high note with the Browns as they came close ot beating the Steelers for the first time in four years, their last win being on October 12, 2014. The Browns then also managed to win against the New York Jets and the vaunted Baltimore Ravens but after that win against the Ravens, they then proceeded to lose two straight games before this recent loss to Pittsburgh. Ian Rapoport reported on Sunday that leadership at the Browns were ready to cut ties with Jackson if the game against Pittsburgh went badly and that was exactly what they did. 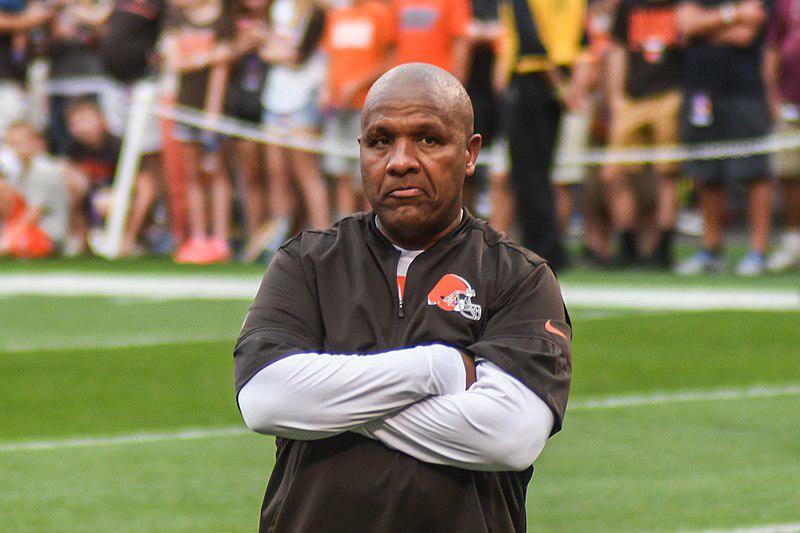 Hue Jackson had mismanaged his roster and could not develop his players, no matter how high he picked them in the draft. This plus the consecutive below 0.500 seasons led the Cleveland Browns to decide that they needed a new direction. 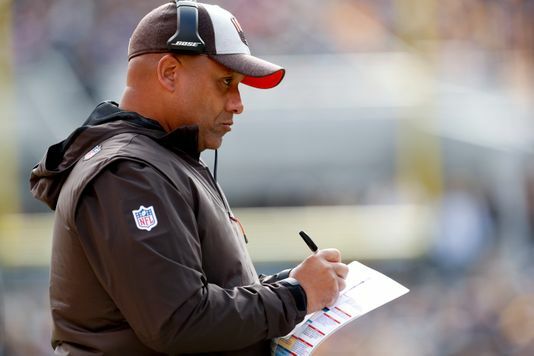 As the day wore on, Ian Rapoport also reported that offensive coordinator Todd Haley had been fired by the Browns although Greg Williams is still seemingly the defensive coordinator at the team. This shows that the Browns believe that Jackson and Hayley are stopping the team from progressing while Williams' defense has impressed, which is true. With a young quarterback at the helm and a defense that could become a very good outfit, the Cleveland Browns felt now was the time to move on from Jackson and try and find a head coach who will utilize all the tools at his disposal correctly.